Enhance your child’s bedroom, nursery or even their playroom with this luxurious soft faux fur rug. 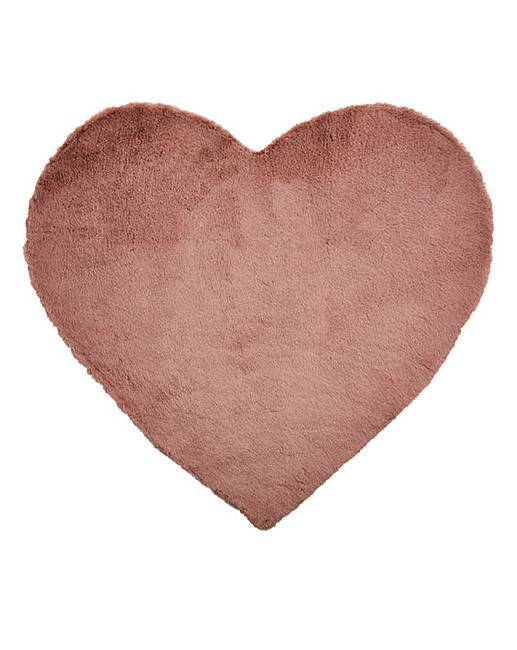 Available in a heart shape, this rug is made from polyester with a cotton backing. Pair with a matching super-soft and cuddly faux fur throw in pink, perfect for your little ones to snuggle up to. Rated 5 out of 5 by hb23x from Beautiful! Bigger than I expected but colour is spot on and looks beautiful in my baby’s room!